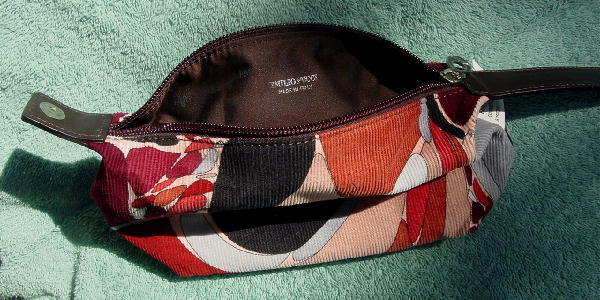 This never-used 100% cotton (corduroy) little handbag can also be used as a makeup bag. It has a dark brown calf leather snap to open and close handle which has a silver-tone Pucci etched on the top and Fiocchi Italy etched on the snap bottom. 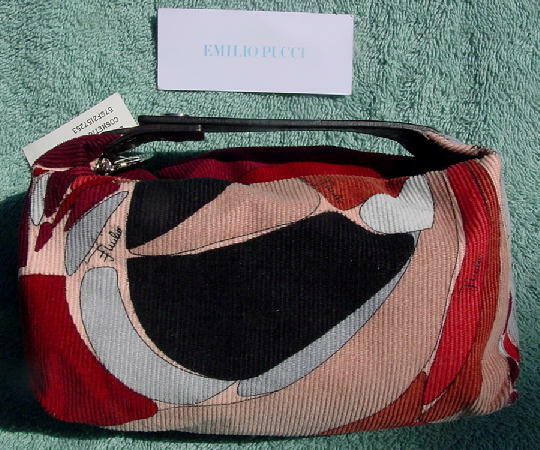 It has a 100% polyester dark brown lining with the logo and Emilio Pucci all over it in black. 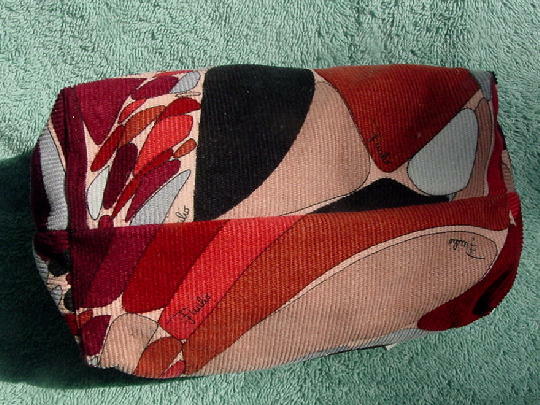 The interior back lining has Emilio Pucci Made In Italy in silver-tone letters. 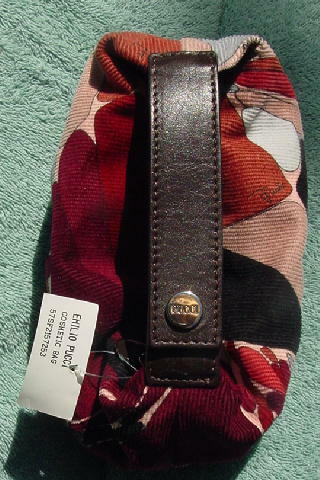 The top zipper lining has an oval silver-tone pull in brown in the front with Pucci in silver-tone letters. 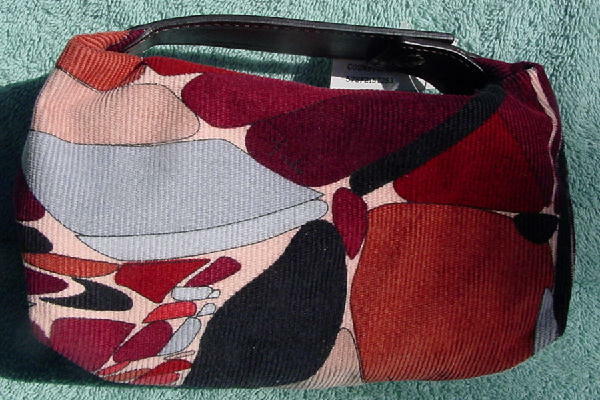 The corduroy is in black, dark rust, light rust, light and medium gray, burgundy, coral, peach, white, and sand. Emilio is in black letters in quite a few places all over the purse. It comes with a white logo card/fabric tag. It has Emilio written in black on the front, back, and bottom. A Miami model got it as a birthday present from her boyfriend. Her roommate (without permission) took the white bag and cut the manufacturer's tag the day after the gift was given because she was going to wear it to a club opening. The model sold it because she broke up with her boyfriend and didn't want it reminding her of him.